The NWO Central Works Council represents the interests of all NWO and NWO-I employees in consultation with the NWO executive board. In this month's newsletter, we introduce you to Fons Kuijk, senior scientific researcher at NWO institute CWI (Centrum Wiskunde & Informatica) in Amsterdam and deputy chair of the NWO Central Works Council. I am a senior scientific researcher at CWI in the research group Distributed & Interactive Systems, where we investigate how media technology can support communication. There is never a dull moment because my work is always very diverse. For example, this year it has ranged from analysing the live TV registration of the MotoGP race at Silverstone to constructing and testing real-time software to efficiently produce advanced 3D representations of users, to transmit these and to render these visible in geographically spread virtual reality environments. I only became a member of the Central Works Council 18 months ago even though I started working at CWI in 1983. You could therefore say I avoided my calling for a long time, but now I was irresistibly triggered by the imminent 'doom scenario' of the transition. I felt it was a challenging period in which a works council could make a difference. In the past, I have managed several merger processes as a school governor, and that experience is useful now. I therefore wanted to do more than represent the interests of my own institute. And that is what I enjoy so much about the Central Works Council: you automatically become involved with all NWO units. I am pleased that I've already been able to contribute to removing the Implementation Regulations stumbling block so the transition could start. However, I also realise that things only really start happening once such a transition has taken place. We were optimistically presented with the picture of a fantastic future. However, partly due to time constraints the transition process focussed on the main aspects, and now many details still need to be developed further. 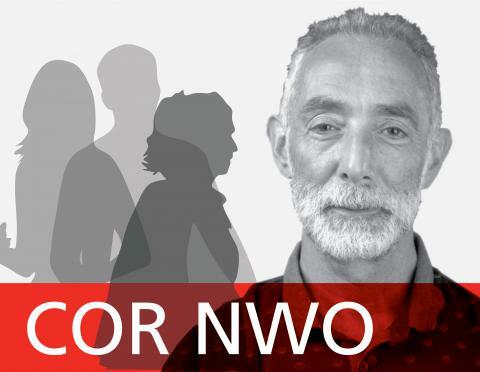 NWO is a very diverse organisation. Cultural differences can lead to miscommunication and hinder cooperation. Then you discover that clear agreements still need to be made for things that seemed obvious. What I would like to achieve in this term in office? In my view, the Central Works Council must support the completion of the transition period in both word and deed. We will still be working on this after this term of office ends, and more adjustments to the organisation will no doubt be required in the future. Being part of a large organisation has both advantages and disadvantages. As the Central Works Council, we should always think about how such a large and diverse organisation can optimally use the advantages while minimising the impact of the disadvantages. In my opinion, the guiding principles should be understanding the diversity within the organisation and paying attention to the interests of individual employees.